Doesn’t everything we do revolve around switching, pressing and clicking buttons? So how many times in a day do we use a button? Stop the alarm clock beep, Ring the door bell, set the time on the microwave, unlock the car, fm radio, sms and phone calls, Bluetooth transfers, instant messaging, mp3 players, surfing the net, television remotes, switching off the light and back to setting the alarm on the clock…this is the common routine of our everyday .Yes, a million clicks a day but it would be right to say that we actually cannot do without them. It is this simple click of a button that makes our life in today’s world seamless…. Access to Independent music is so seamless today…. Around the globe, tape players, cd players, boom boxes have been replaced with a single click of a button……`download’ is way to consume music today. Television, Cinema, Gaming, Internet and Mobile all are a part but Independent Music is the most dominant form of digital entertainment. The reason is simple….. Compared to other media, Independent music is the most easily accessible, easiest to download and is extremely cheap. Millions of songs are downloaded everyday in mp3, wma, aiff, wav and other formats from hundreds of online digital stores such as i-tunes, cdbaby, napster, zune and many more. Digital entertainment is powered by digital music and digital music is powered by Independent Artists. ArtistAloud.com supports and encourages paid digital music downloads. To get your hands on the best in independent music, download now on ArtistAloud.com – The sound of Independence. The world over is celebrating today and for ArtistAloud.com, this is the most important festival of the year…it’s the WORLD MUSIC DAY!! Shibani Kashyap – Kudos to ArtistAloud for always promoting and keeping independent music alive! !On world music day let us celebrate the biggest blessing and gift of god – Music!! Let us all spread the message of anti piracy and let’s all make an effort to strengthen the music fraternity by supporting fellow musicians!! Let us hereby stand together to spread the message of important issues through music! !Once again cheers to artist aloud for having achieved so much in the world of music!! Daboo Malik – Lonely Road, walking alone and I carry on with my Music in me, Music my life, my Freedom, my Destiny. Shefali Alvares – Music is the Speech of Angels! Were all angels Singing,Playing,Laughing,And Dancing. There is so much sound in Silence! Silence is beautiful Music! Modern Mafia – Music to us is like a midget on a tricycle with an eye patch, riding through fields of cotton candy to save a drowning elephant….Seems impossible when you start to compose but its one hell of a fun ride getting there! Abiogenesis – Music brings forth untold stories and dreams! Sanket Naik – A good balance of soul and technique can only make good music!! Suchitra Pillai – music to me is magic, … a way to touch someone s heart and soul even though you may be far away, music is what god gave us so that we sometimes need not speak…only listen .. and still get the message loud and clear.. lyrics are also one way to know how someone somewhere in the world has gone through exactly what you have been through… makes tough times much easier 🙂 thank you for the music artistaloud.com…. thank you for the magic! Manasi Scott – Music saves. We are the blessed ones, the chosen few who have music playing in our bloodstream. In my heart though, I am an 80’s child. If I had my way I would live between 2 chords of an 80’s song forever!! Joel Mukherjee – Music expresses that which can’t be said and on which it’s impossible to be silent…..Happy World Music day. There are so many independent music players in the scene today – Record Labels coming back to represent artists and search for new talent, event companies putting together various multiple genre festivals, venues like Blue Frog and HRC providing live music entertainment, etc. The question is – Do the indie artists need us or do we need them? When we did the Music Day event on the 2nd of March 2012 showcasing 50 artists performing back to back, I remember doing a phone interview with Erica D’souza asking me how I felt to be providing a platform to the artists. Am I really providing a platform to them? I honestly do not see it that way. I think if we did not have all the artists we did have, we wouldn’t have had an event that proudly showcased a lineup of 50 artists. And that is not a small feat in any way I must say. OML, who has built a strong name for themselves through NH7 festival, The Dewarist on STAR World and the Eristoff Invasion featuring Prodigy and David Guetta has built its name as the company that has brought urban eclectic music to the forefront. Having completed two successful years creating possibly the first ever festival showcasing independent artists, they are now in the process of putting together a three city festival this year ensuring that it reaches out to more people. So who actually gets the larger piece of the cake – is it the artist that performs at the festival or the company putting it together? Obviously we know what the answer is. After a gap of a number of years, almost a year back, Sony Music partnered with Oranjuice and formed an event called LIVE From the Console that happens either every month or fortnightly at the Mehboob Studio. The event has also provided the opportunity for Sony Music to create an Independent Label on the side – Day One. Would this have been possible without the availability of the artists? The truth is any business or art can only flourish if there is a supply and demand chain that is linked to each other. You cannot create a demand if there is no supply and you cannot supply if there is no demand. The point is one need to figure out, what is it that comes first – Supply or Demand? Here is what I believe. The human mind does not know what it wants till it sees something. And once it sees it and likes it, it wants more of it. But if the supply is unceremoniously stopped, at first it will demand for more but if there still cannot be a supply; it will move on. When we launched Artist Aloud that is what we wanted to do – create a demand. Not just for music at large but even for an artist. 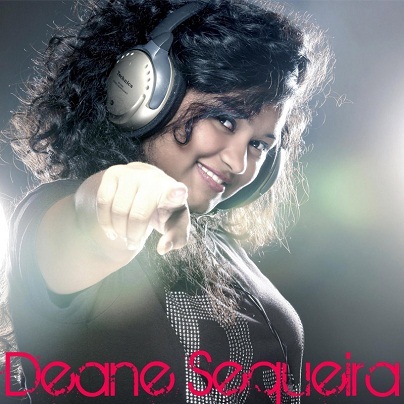 Recently, we launched an artist called Deane Sequeira and it was really fulfilling when this teenager’s father sent me a mail saying, “Thanks for your support in having Deane well promoted through various channels. Her Seagram’s Music Day You Tube video has great reviews and higher views than most of the other 50 artists and her song has been well accepted globally too. Many radio channels and music directors have shown their willingness to work and collaborate with Deane being the youngest female RnB-Rapper. She is now labeled as India’s Rap Princess and the Mini Nicki Minaj of India.” That for us is a feather on our cap. So it truly brings me back to ask here again – Do the indie artists need us or do we need them? So what if it’s Monday….Just chill out!! Oh yeah, he’s dressed in all black …..He’s wearing the smell of the soil as his perfume . All the boys and girls in the house are waiting for him……..he sure knows how to make a big entrance……..its The Rain God and he has finally arrived…… and he’s playing DJ all over the country. What a smooth mover he is…moving from city to city , spinning the clouds just like a DJ, churning out sounds ,basslines and rythms, making all of us dance to the groove of the rain !! Who wants to work on a Monday?? Its bye bye for now to the blazing sun, which has finally gone on vacation and it feels so chilled out! The rain is here to make sure that your mood is laid back and relaxed. And it certainly has had an effect on us too…..this week we’ve decided to make sure that we bring you music that will keep your week totally chilled out. ArtistAloud.com this week is your chill out zone, hear `Tanha Sa Hoon’ the new album from Lesle Lewis, a perfect lounge album and add to that the ArtistAloud chill out top 10, with 10 tracks that will sooth your mood and relax your senses. Sufism is a way of life, a philosophy which presents an aspect which reflects in everything we do. It presents the aspect of the divine GOD. Music is an integral part of the SUFI school of thought and the purity, mystery, divinity and the philosophy of Sufism has inspired Musicians around the globe to represent this culture through their music. Traditionally, Sufi music was devotional music inspired by the works of poets like Rumi, Hafiz, Bulleh Shah and Khwaja Ghulam Farid. Qawwali, Ayin and Gnawa are some traditional forms of Sufi music with Qawwali being the most popular. Sufi love songs are often performed as ghazals and Kafi, a solo genre accompanied by percussion and harmonium, using a repertoire of songs by Sufi poets. Modern Music, in India and internationally too has Sufism reflecting. Madonna’s” Bedtime Story” the 1994 song from the album Bedtime Stories, through its lyrics and visuals, talks about achieving a high unconsciousness level. 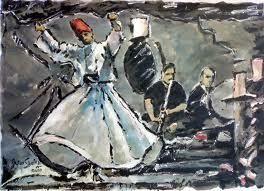 The video shows an ecstatic Sufi ritual with many dervishes dancing, Arabic calligraphy and some other Sufi elements. In Another song by her, “Bittersweet“, she recites writings of the Sufi poet Rumi. Even In her 2001 Drowned World Tour, Madonna sang the song “Secret” showing rituals from many religions, including a Sufi dance. In India, Sufi culture and philosophy in music can be seen in the works of Nusrat Fateh Ali khan, Abida Parveen, Rabbi Shergill, AR Rahman,Harshdeep Kaur,Kailash Kher,Alam Lohar,Junoon, kavita seth,Jaswinder Singh,Tochi Raina, Daler Mehndi and many more. AR rahman’s khwaja mere khwaja, Arziyan and Kun faaya Kun are the most recent examples of this genre of music. This week on ArtistAloud.com, listen to Kavita Seth, Tochi Raina, Jaswinder Singh, Daler Mehndi and more in the ArtistAloud Sufi Top 10. Support Independence in Music. Buy Music on ArtistAloud.com – The sound of independence. It has been the same story for all of us musicians. It is almost like the whole musician community, here in India is subjected to follow the same script, screenplay and dialogue! In the movie of a musician’s life in India, the hero is talented, he is musical and as he is growing up, he wants to be a part of a band, he wants to perform, he doesn’t want to think about anything else but play the guitar, or sing or rock the drums….. This is how the movie opens up with a happy beginning. But what happens next? The neighbor’s son, a top ranker, always scores 99.5 whenever he writes an exam. He’s a superstar within the teacher’s community. He goes to school, comes back home for less than 10 min and then rushes away to another whole 8 hr shift of tuition and extra classes. In short, he’s the works when it comes to academics and hell ya…. Our musical hero’s folks too believe he’s going places and our hero nowhere! We all hear the same dialogues as our hero does ` Kya time waste karte rehte ho tum’ , kisi `kaam ke ho’, 3rd floor waale Mr Ghosh ke bête ko dekha hai,topper hai who’ , pata nahin kya hoga tumhara, aise hi guitar pe haath maarte rahoge to sadak pe bheekh maangte dikhoge’ !! Our hero puts up with all the non musical nonsense and goes to college, is a part of a band there too but somehow, just somehow manages to get a degree. Now his band members, due to family pressures slowly start going different ways, one guy has moved to Dubai, the other to Bengaluru and is working with in I-T firm and our hero is now stuck, without knowing where to go, what to do ! So he goes their way as well and gets into a job, doesn’t get to play his guitar much now and slowly starts to think………have I really gone wrong? Did I make the right choice in Music? Will I be able to make a living as a musician? It is 2012 and the copyright bill has been affected finally! Our hero, through one of his contacts, gets a change to compose a single in a compilation album. He takes a shot at it and to his surprise….it becomes a huge hit, it goes viral online and receives over a million hits! And with this one song, within a blink of an eye, all the conflict in his mind about whether he is doing the right thing or not, just washes away. All those who thought our hero was going nowhere are proven wrong! 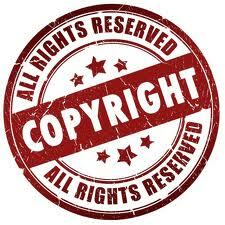 His musical journey truly begins now……..
ArtistAloud.com, is thrilled about the copyright bill being finally affected !